Canelo was sharp from the beginning of the contest and controlled many of the rounds with his poised, disciplined attack. His work to the body was precise and the 25-year old was particularly effectively with a right uppercut on the inside. Cotto showed deft movement with his feet but he was undersized in there and simply wasn’t about to break through and slow Canelo down. The fight did appear to be up in the air heading into the 12th and final round but it was Canelo who came on strong, easily capturing the final frame. Scores of 119-109, 118-110, and 117-111 were read in the new champion’s favor, as he reacted on his big triumph. 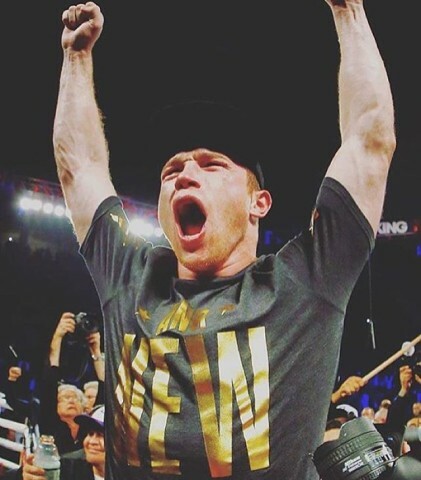 “It’s an emotion I just can’t put into words,” Canelo stated.